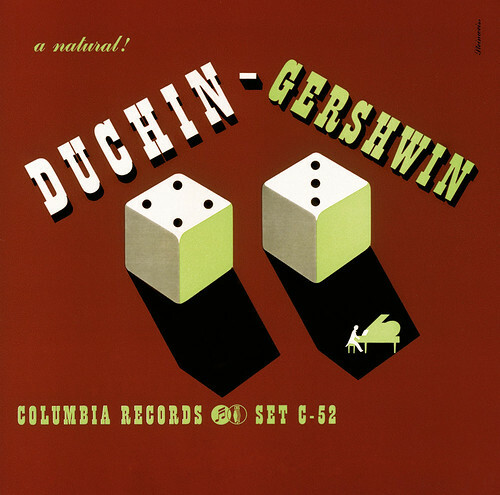 The first illustrated album cover – for ‘albums’ of 78rpm records – was designed in 1940 by Alex Steinweiss, art director at Columbia Records. 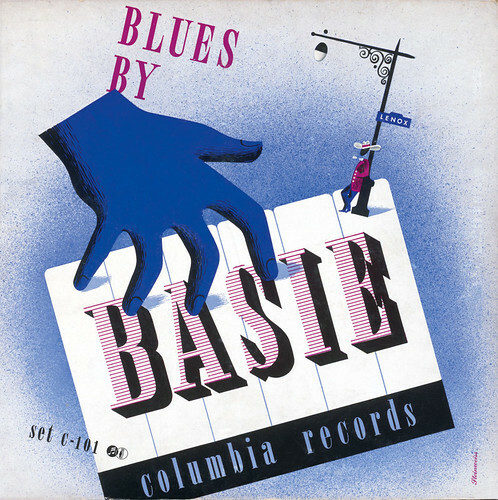 The 94-year-old Steinweiss rarely receives the recognition given to Paul Rand or Lester Beall, widely considered to be among the form-givers of American Modernism, but he was just as much a pioneer of corporate branding insofar as he gave a major recording company a distinctive identity. You can now read the full text of Steven Heller’s Reputations interview with Steinweiss in Eye 76, the music design special issue. In 2009, Taschen published the literally massive Alex Steinweiss: The Inventor of the Modern Album Cover (top) an exhaustive survey of his music work and other graphic design. At 422 pages, measuring 34cm by 28.3cm, it is possibly the largest design monograph ever published. Taschen has now made the previously limited-editionbook available in a more affordable trade version. 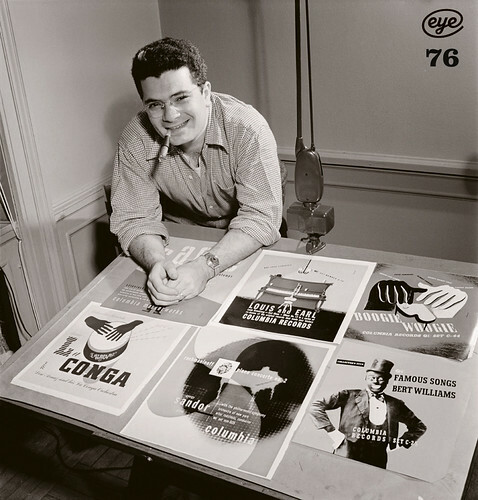 It was Steinweiss who, in the early 1950s, after designing hundreds of packages, posters and catalogues for Columbia, created the paperboard LP cover to protect and market the latest revolution in music delivery. In the process, he defined the visual identity of recorded music for decades to come. Eye is the world’s most beautiful and collectable graphic design journal, published quarterly for professional designers, students and anyone interested in critical, informed writing about graphic design and visual culture. It’s available from all good design bookshops and online at the Eye shop, where you can buy subscriptions, back issues (including Eye 76 and single copies of the latest issue. For a visual sample, see Eye before you buy on Issuu. Eye 79 is out any moment. 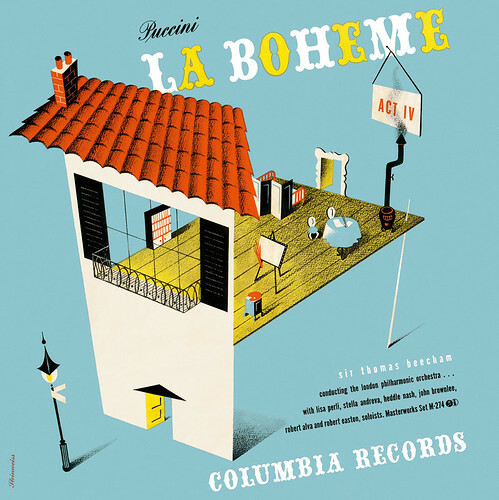 This entry was posted in Contemporary Photography and tagged 78rpm Records, Alex Steinweiss, American Modernism, Bookshops Online, Columbia Records, Contemporary Photography, Corporate Branding, Design history, Design Monograph, Distinctive Identity, Eye Shop, Graphic Design, Illustration, Lester Beall, Lp Cover, Music Delivery, Music design, Music Work, Paperboard, Paul Rand, Photographer, Photographers, Photographs, Photography., Professional Designers, Taschen, The music department, Visual Culture, Visual Identity on April 2, 2011 by Eye contributor.